Portable Sink | Portable Hand Wash Stations| Monsam Enterprises, Inc.
With 15 years R&D and production experience in the refrigeration industry, Meibaijia Electrical Technology Co, Ltd has grown mature as a professional manufacturer of commercial refrigeration products. To prosper in the high-end market, we established a new production base with advanced equipment and outstanding technical personnel in 2014. Meatball is loved by all. Prepare your favorite meatballs by using the Meatball Making Tools Set from Grilldemon. We make freestanding kitchen units and luxury designer furniture in a range of beautiful painted colours and also in solid wood. Come and visit one of our inspirational kitchen units. From bespoke kitchen islands to high-quality cabinets we can help you create the kitchen of your dreams. At Handcrafted Kitchens all of our kitchens are designed to fit our client's personal tastes - as our name implies. When it comes to buying a kitchen we like to make things easy for you. We can work on a supply only basis or we can help you every step of the way, the choice is yours. Get to know the leading pioneers in India for introducing 304 grade stainless steel modular kitchens. Küche7 has an exclusive collection of Modular kitchens, Wardrobes & Bathroom Vanity units. Check out our latest range and book a Home Visit Now! Modular Kitchen Ette is Navi Mumbai based leading manufacturers of modular kitchen Design, modular furniture, kitchen accessories & kitchen appliances. TheMaids Dot In provide best Kitchen Cleaning Services in Delhi NCR. Experience the best residential kitchen cleaning services by our Cleaners at an affordable cost. Our Kitchen Cleaning Experts Scrub & Degrease your Kitchen and Make it Shine. Time consuming, frustrating and sometimes extremely complicated! Flatpack assembly is a popular service. Fast Handyman Services can provide experienced handymen who can easily assemble furniture of all shapes and sizes. With over 20 years of experience in providing high quality cabinets and countertops, LWP is a trusted brand when it comes to augmenting kitchens and bathrooms. 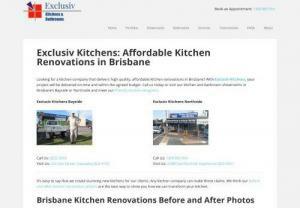 Palmyra Kitchens Offers A Variety of Different Styles for Kitchens Designs and Renovation Services. We Can Customize Our Product Functionality. You Can Get More Details About It on The Website or Call Us On 0450 975 620.